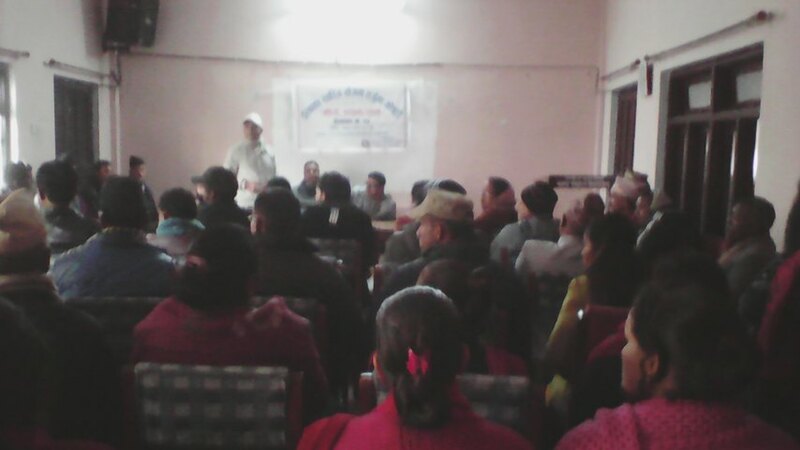 Kailali (Pahichan) February 7 – Gender and Sexual minority in Kailali have said that they should be accommodated while forming policy and programs. Speaking at a seminar, they said it is needed to reflect the aspirations of this community in the policy and program. District Development Committee Dhangadi has selected five programs in the fiscal year 2074\2075 and members of gender and sexual minority are working, according to Lata Chaudhary. Participants said that some programs of income and awareness should be launched. They demanded a secure residence, scholarship targeting the members of this community. They said awareness campaign should be launched in the ward-level. They also demanded free of cost health facilities targeting the members of this community.